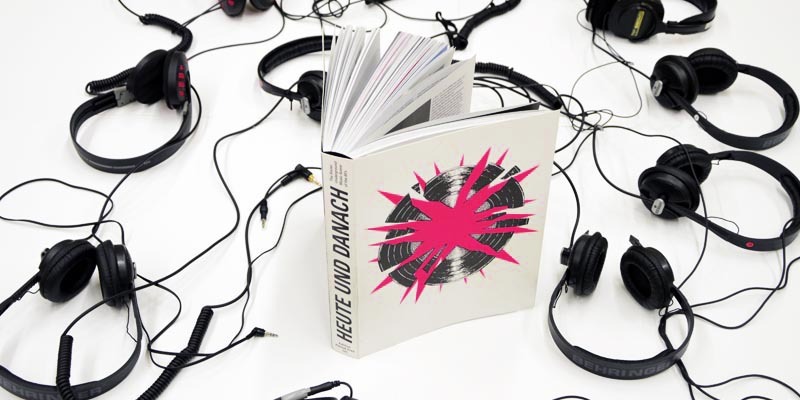 Six years after a volume documenting the Swiss punk scene entitled Hot Love, the same editors and design team have published a sequel on the underground music scene of the 1980s. On more than 600 pages, the thick, heavy volume brings together numerous texts, historical photographs and a discography. The contents are divided into six chapters, each of which starts with one or more essays, followed by a series of portraits and interviews with those involved. The essays are presented bilingually in German and French, with the German texts on the upper half of the pages and French running in parallel below. Images printed in two colours, neon red and black, are inserted in an intermediated position. The portraits and interviews are monolingual in either German or French. The richly varied layouts combine three-column text with a large number of images in black and white and full colour, as well as individual pages with full-bleed images. The neon red colour is used again, but in two new ways: as a form of spray paint applying extensive highlights across the finished lay out, and for a navigation system at the edge of the page, which leaves a trace on the trimmed edge and makes orientation among the chapters easier. In a five-column layout, the discography lists a dozen or so singles and albums per page, accompanied by the cover art and some brief details. With its typography, neon colouring and spray paint effect, the design makes reference to elements of the visual culture - the posters, leaflets and record sleeves-of the 1980s underground music scene. The navigation guides at the edge of the pages also recall roughly cut leaflets. And yet the numerous visual citations do not seem at all affected; instead, the design interacts with the material in a casual fashion to produce a generally lively and inviting effect. In the discography, the volume reflects a great deal of archival research and in general the pleasure of the book lies in the way it documents an underground culture that was itself rather disinterested in documentation, preferring to live for the most part in the 'here and now'. The immense amount of research work carried out by the two editors must therefore be acknowledged. 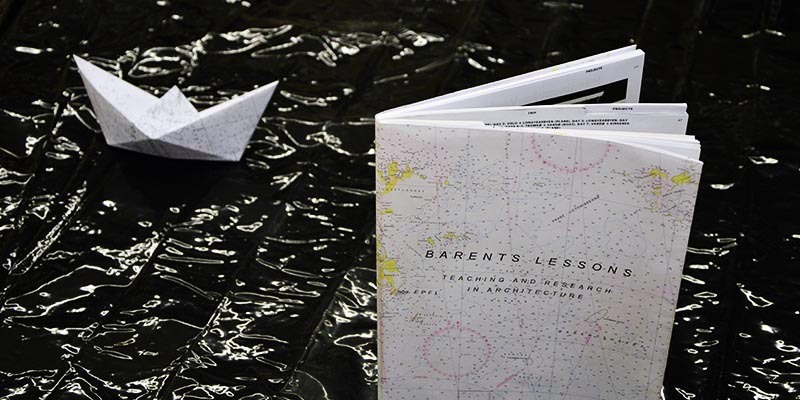 This large-format, soft-cover architecture book printed on light-grey paper documents a course on the geopolitical region of the Barents Sea given by. Harry Gugger to a class at the École Polytechnique Fédérale de Lausanne (EPFL). The book is divided into three sections - analysis, travel and projects - which can be accessed directly thanks to a thumb index at the top edge. The analytical part introduces the resource-rich region with numerous infographics on climate, resources, economy, governance etc. The variable-sized graphics are positioned in such a way that they lill the pages well. In addition to black, one or two colours are used, which remain constant for several pages and change only when a new subject area begins. The travel section consists of a photo-reportage primarily in colour. The photos are presented in four standard sizes - double-, single-, half- and quarter-page - on a fixed grid, and all of the pages are filled. A few travel impressions are then given in the form of brief statements printed in large black lettering across the double-page spreads. The third section presents works by the students, who for the most part designed discrete, functionally defined buildings for specific locations. Each project is presented on four pages with various materials - plans, models, sketches, collages etc. The dust jacket for the soft-cover book consists of a poster with a detailed map of the region in subdued col ours on which the project locations are marked. Although this is a documentation of student work, the elaborate publication is justified by the importance of the topic and the basic research carried out. At first sight, the volume seems almost overloaded in terms of its design, but on closer inspection it can be seen that the complex contents are actually presented very economically. The three-part structure is clear and bas been made easily accessible via the thumb index at the top edge. The infographics in the first part are carefully executed. The photographs are well edited, and the presentation of the projects is reduced to the essentials. The soft cover and the format give the book the impression of being a reader, emphasizing the research character of the publication. The dust jacket poster is an appropriate solution. 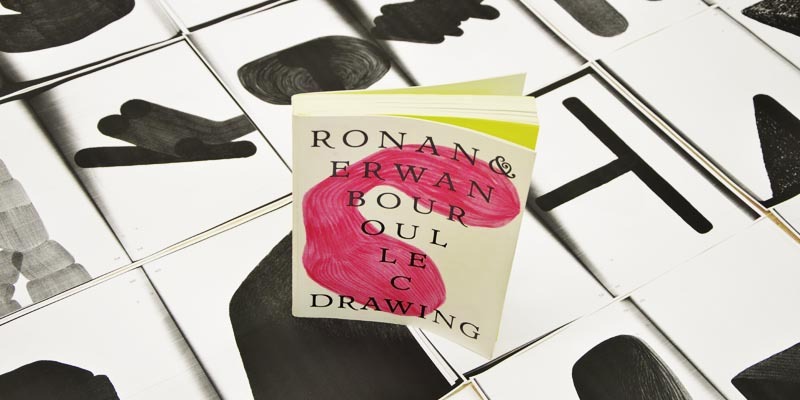 Furniture designers Ronan and Erwan Bouroullec draw regularly, often as they carry on conversations, and they carefully archive their sketchbooks and large piles of sheets. This very comprehensive and weighty illustrated volume with a soft cover and thin glossy paper presents more than 800 examples. Most of them are placed individually, one to each page, while a few feature on double pages; no page is left empty. The drawings (in pencil, ballpoint or felt-pen) are, for the most part, simple, focusing on a few subjects, and range from abstract shapes to specific furniture details. In the reproductions, the backgrounds have - with a few exceptions - been digitally removed and the formats have been standardized, so that the picture sequence is homogeneous and appears as if 'sketched into the book'. Apart from the page numbers and an occasional year number indicating the chronology (2005-12), there are no typographic additions. The paper, which was also used for the recently discontinued print edition of Newsweek magazine, was printed on a commercial web press for large print runs, with sheets of 72 A4 pages. At the start and end of the book the~e are four pages each of text on olive-green uncoated paper; the imprint is at the back and a preface by co-author and designer Cornel Windlin is at the front. The soft cover bas two flaps, under each of which a full-bleed photograph of the archived sketchbooks is concealed. All of the other sides of the co ver show one drawing each, with the front cover also featuring the title details in a large font executed in relief varnish. Some of the drawings refer to well-known furniture pieces and can be regarded as design sketches, while the status of others is less clear. The designers' working method is thus documented, but without the exact process being explained. The large number of sketches included allows the reader to be immersed in a long period of work. However, their special treatment within the publication imparts to the drawings a status that goes beyond that of merely documenting the design process. One could almost speak of the drawings as independent works, and they indeed represent a treasure trove. 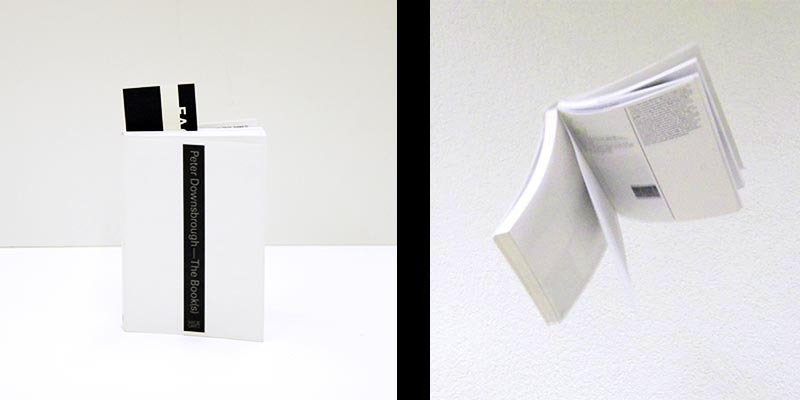 The resulting book object is extremely harmonious in its format, weight and material quality. Swiss architects Trix and Robert Haussmann, with their 'critical mannerism', have remained outsiders in a scene dominated in recent decades by neomodernism. Their work is presented in this unconventional, small-format soft-cover architecture book published to accompany an exhibition curated by the volume's two young editors. The catalogue documents conceptual, manifesto-like contributions such as the Log-0-Rithmic Slide Rule Exercise (1980) and the programmatic exhibition text Manierismo Critico (1981), as well as a series of architectural Lehrstücke (1977-84). 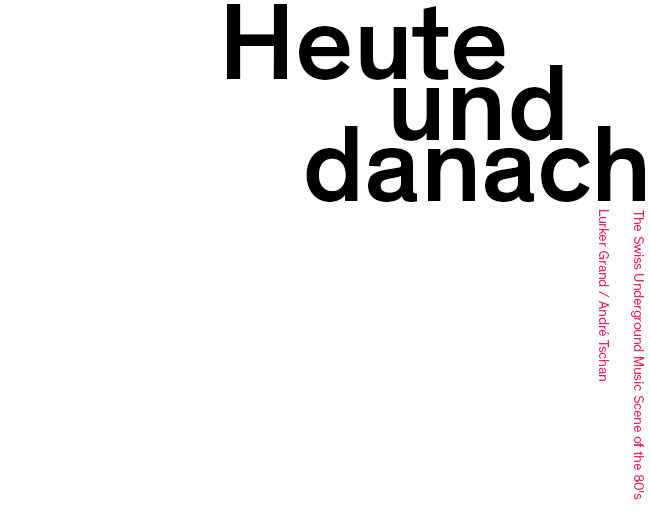 The most extensive part presents selected interior design and furniture projects dating from 1957-2012 (including the Kronenhalle Bar and Shopville Zurich). This is followed by two artistic texts and a long interview with the Haussmanns conducted by an outside author. The design is generally kept simple. AH of the works are illustrated in one to four images, most of which are placed al one on a single page. These are primarily photographs of rooms and objects, although some drawings are also included. Short captions on the lower margin provide the essential information. The text contributions are set in single columns on the page. 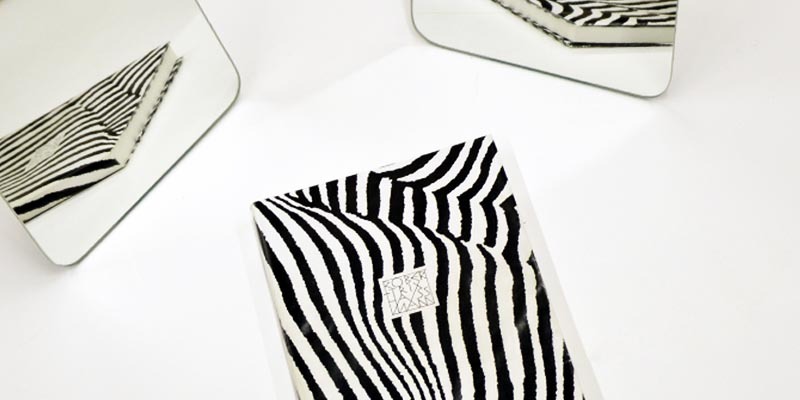 A striking black-and-white poster printed with a zebra pattern serves as the dust jacket. The publication began as a private initiative of the editors, and its format and size, which have a personal and almost intimate effect, correspond to this. The poster cover with its ornamental pattern sends a clear message about the work and its programme. In terms of both content and design, the material is well organized and the book bas an attractive narrative structure. Special attention is given to the ideas that shape the architects' working methodology and projects. This is also retlected in the long interview, whose title, ' ... and that a picture is also an idea and a text', also describes the approach taken in this publication. The way in which the historical photos are treated is successful to the degree that the design is not seduced by the aesthetics of the works, which thus underscores the temporal remove. The glossy quality of many of the representations of the works is skilfully balanced by the way in which they are reproduced and through the layout. Editors Benoît Porcher, Paris, with Lionel Bovier, Zürich, Clément Dirié, Paris, et al. An exhibition shown in Turin, Eindhoven and Nottingham provides a retrospective on the early work of the Arte Povera artist Piero Gilardi (b.1942). The comparatively small-format hardcover exhibition catalogue expands the time frame to include the present day, presenting views of exhibitions and details, as well as photos of performances and portraits of the artist. Two to four images printed in full col our on white paper are featured on each double-page spread. The layouts vary, as do the picture combinations, some of which span long periods of time. When two pictures are placed on a single page, they often overlap in such a way that a corner of one of them is cut away. This layout approach was adapted from collages by the artist, two of which are shown on the front and back end pa pers. A few photographic reproductions of individual works appear atone on a page, and always in the same format. The illustrations are grouped into sections, and texts are inserted between them on a brown paper. The texts themselves are set in a single column and printed in black and 1 or green and are at times accompanied by supporting illustrations printed in green. 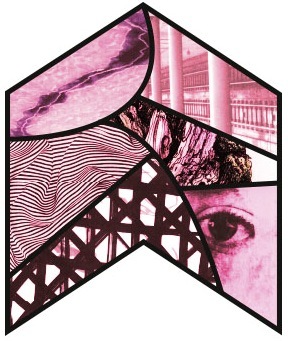 On the black-and-white front cover, the collage technique is applied to the typographic design of the name, which is cut into by a portrait of the artist. On the back cover several full-colour images are collaged against a white background. 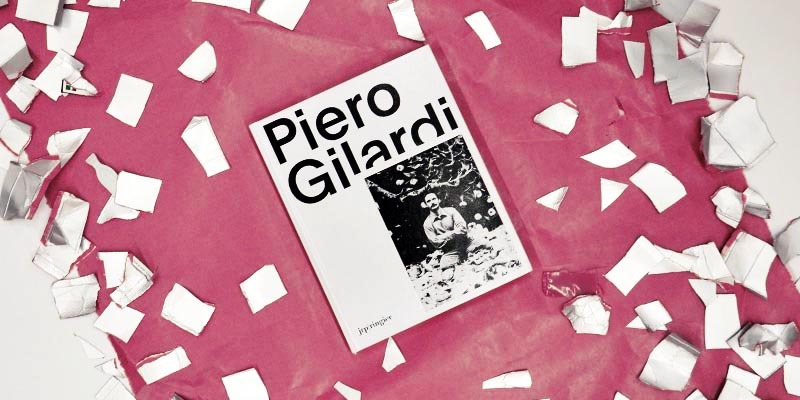 The catalogue reflects a strong awareness of the artistic tradition to which Gilardi belongs and references the corresponding history of Arte Povera publications. In particular, the collage technique and brown paper are smart references to Arte Povera that express both a certain attitude and also its visual and formal implementation. The references seem functional rather than nostalgic, and the collage technique borrowed from Gilardi even seems contemporary, as it makes possible the establishment of different types of relationships between the images and the corresponding historical moments. The other design details are used fittingly and the printing is very good. Peter Downsbrough (*1940 in New Jersey) studied art and architecture and, like Robert Barry, Sol LeWitt, Ed Ruscha, and Lawrence Weiner, is one of the artists who continue to use the book as another space to present their work. Since the early seventies, he has incorporated text and line drawings into his books, later integrating maps and photos of urban spaces. His consistent and sharply delineated oeuvre is devoted to examining the meaning of “space.” In 1993, the publisher, book collector, and curator Guy Schraenen commented the following on Downsbrough’s publications: “We could talk about the zero degree of the book, since it presents itself here in its simplest form.” This catalogue provides an overview of the eighty-five books that have been published to date. Peter Downsbrough belongs to that first generation of artists —including colleagues such as Robert Barry, Sol LeWitt, and Lawrence Weiner in New York; and John Baldessari, Ed Ruscha, and Allan Ruppersberg in California— who use the book as a means for presenting their work. From the beginning he accords the word, and also the book, an objectlike, spatial, if not sculptural, quality. Consequently, one could even consider that he approaches the book as the ultimate exhibition space, one in which he continuously regroups reflections, images, associations, compositions, and proportions. Indeed, Peter Downsbrough refers to the book as a volume, a space within which to work. Generally, the haptic and compositional starting point of his books could come across as quite rigid, sparse, and distant, but looking at the entire group of publications, instead of at a single one, reveals a particular virtuosity and rich interaction with this basic media. In contemporary art history there are only a few artists who have dedicated a large part of their output to the continuous and rigorous production of artists books —books that can be considered themselves as art works, not so much by their feel and craftsmanship, but, rather, by how they represent, in an accessible and affordable format, an artistic thought, a position or a stand. Peter Downsbrough has made books throughout his entire career. Indeed, as Downsbrough has repeatedly remarked, he is not making artists’ books, but just books.